It’s been already 52 weeks since I announced and started my 52 Timelapse Project! The project is finished and I’m really happy with that 🙂 It was so much fun to make this project and I can’t be happier when I know it’s done. I’d like to thank all of you guys, who supported me during this year! Check out the summary video and then below read what I think of this project and whole 2017, and what’s the most important – what’s next on Beyond The Time! Secondly, I was obligated to create regular content for this blog. Basically, it was the first full year of this blog existence and I’m really happy with it. Running such website seems easy, until you try 😉 Building community is not an easy task, but we’re heading in the rigth direction, of course thanks to all of you! With such project, you can find out what kind of shots people like, what works better and what not. When you publish the timelapse video project, it’s judged as a whole. When you publish individual clip, it must be good to get people’s reaction. Of course, it’s extremely hard to release 52 awesome, entertaining shots. I’ve had some better and worse ones 🙂 The additional difficulty was that I wanted a blog post about each shot. I wanted to let you learn something each week. Now, I think that this project is a great knowlegde base for every one, who wants to be a timelapser. I covered there so many different, new, experimental techniques, that everyone should find something useful that helps them shoot more creative shots. As I said one year ago – that’s a project I wish someone made when I was starting out (or even now ;)). It’s really over? What now?!?! That’s why I will still upload individual clips with mini tutorials for them. I feel like it’s a great way to learn different timelapse techniques for you. But now – it doesn’t have to be released every week and it doesn’t have to be just one shot. I’m not sure how I’ll call this series yet. Maybe you’ve got some ideas? Feel free to put it in the comments! If you’re really passionate about timelapse or even want to become a profesional timelapser, I recommend you to start your own 52 Timelapse Project! It’s ‘just’ one shot a week 😉 Seems easy, but you need some persistence to finish that. For sure, you’ll become much better in timelapse photography after this year and you’ll be really proud of yourself! This was a good year! 🙂 We’re building very nice community around this blog. I was thinking of starting a Facebook group for a while and finally, this year it happened. We’ve got almost 2000 timelapse fascinated members there. You’re invited too! Feel free to join us, share your work and ask questions. I’m in a few different timelapse groups and I think it’s one with the best community out there. Join us here: http://facebook.com/groups/timelapse.hyperlapse. As a summary of the year, check out my company showreel, which shows some of the work I did throughout 2017. Tomasz Walczak – Timelapse & Hyperlapse SHOWREEL 2017 from TL video on Vimeo. This year I’ve also started a series of timelapse & hyperlapse workshops here in Poland and I’m also glad I finally did it. It was something that was in my mind for a few years. Now, with that experience I’ve got some plans for 2018 🙂 I’ll continue the workshops in Poland, but what’s more important for you, I’m working on a very detailed, timelapse and hyperlapse course that will be available on this blog. It won’t be a free one, but for sure it would be the most detailed course on the internet 🙂 But don’t worry, there will be plenty of different free tutorials on the blog. For know I don’t receive any money for what I do on this blog. And at some point there’s always a decision, whether to start monetizing the page somehow or just spend less and less time creating content. I don’t want to get adds on the blog, because it requires as much clickable content as possible and in my opinion it makes it less valuable. I don’t really like the concept of sites like Patreon, because I feel like people who support creators there don’t get very much in return. In this case, you’ll get premium content and the same as on Patreon, you’ll let me create more and more free stuff for blog. However that will take a few more months to finish 😉 Of course, I’ll still publish free stuff on the blog before and after releasing courses. Also, if you haven’t heard yet, I’ve started new timelapse film project a few months ago and it will be the biggest one so far! 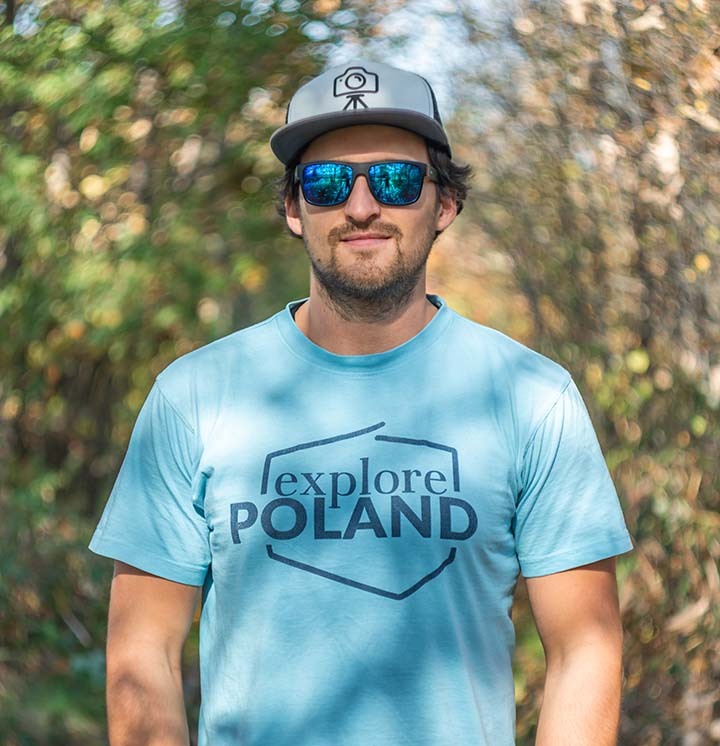 🙂 It’s called Explore Poland and it’ll be a flow motion hyperlapse journey across my country. We already have some footage shot, about 1,5min of the video. We’ll be finishing it in spring 2018. I hope to release that somewhere in the middle of 2018. It will cover really amazing locations, new techniques and some really unique stuff! Also, this project will have some nice behind the scene film, so you’ll be able to check out how some of the shots were made 🙂 I already made over 1000km to shoot it! And it’s just a beginning 😉 You can check out some BTS pics on my Instagram. I hope 2018 will be at least as good as 2017 was for this blog 🙂 I’m really glad you are here with me! Stay tuned, follow my blog and shoot as much as you can! I wish you all the best in 2018! !